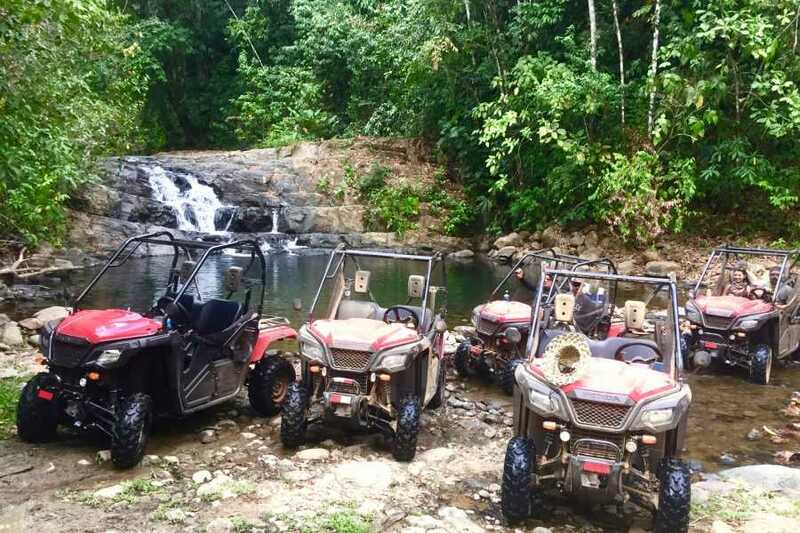 Join us on this very scenic tour that takes us over several mountain ranges and into the deep jungle providing us with amazing ocean & valley views, stream crossings, coffee & banana plantations. 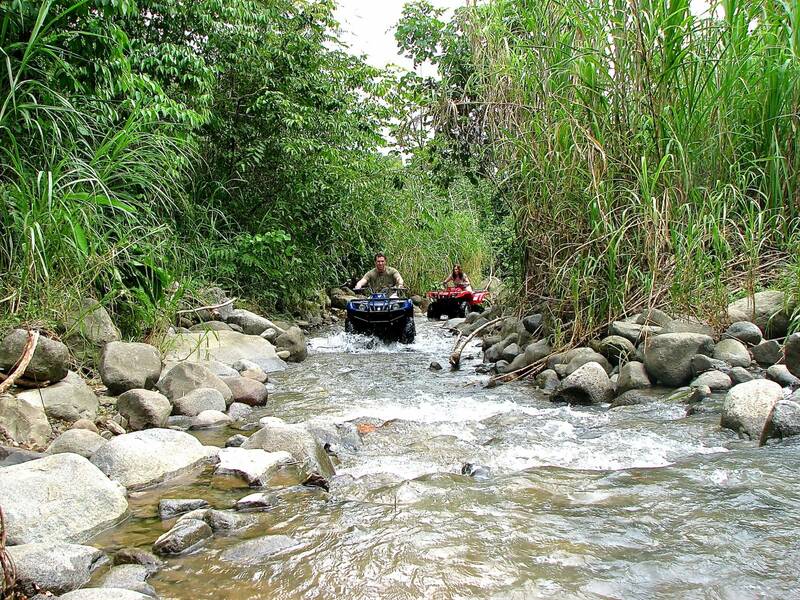 We will continue on through a small village and pass through several farms on our way to the San Luis waterfall. 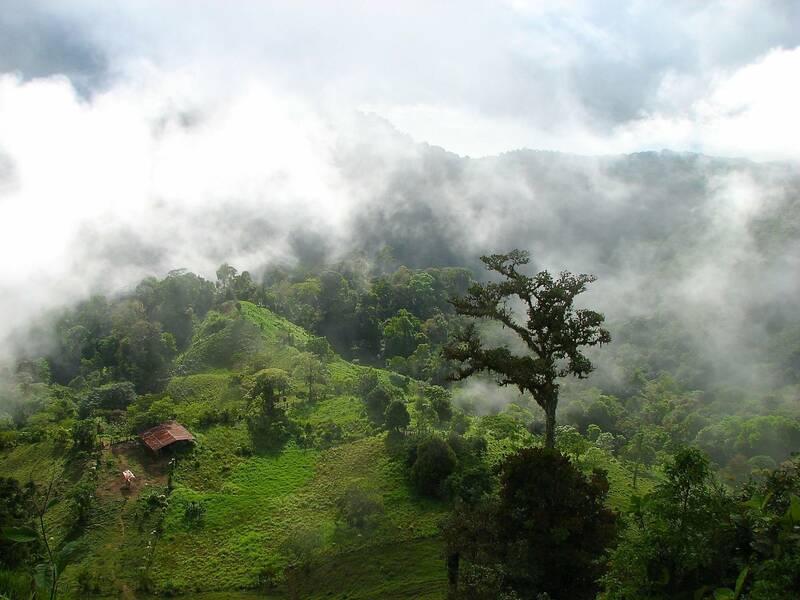 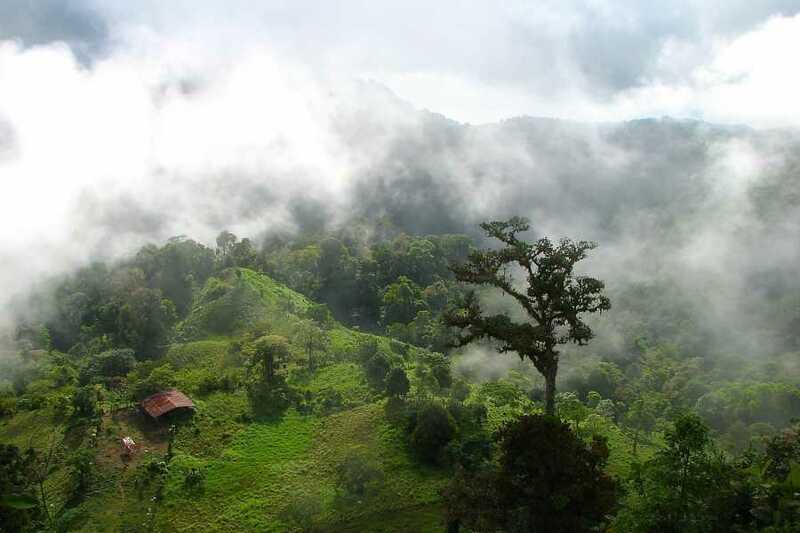 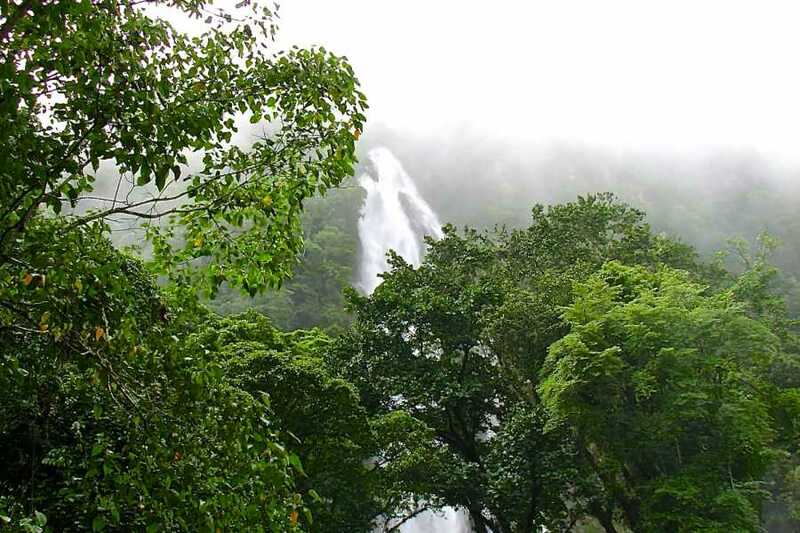 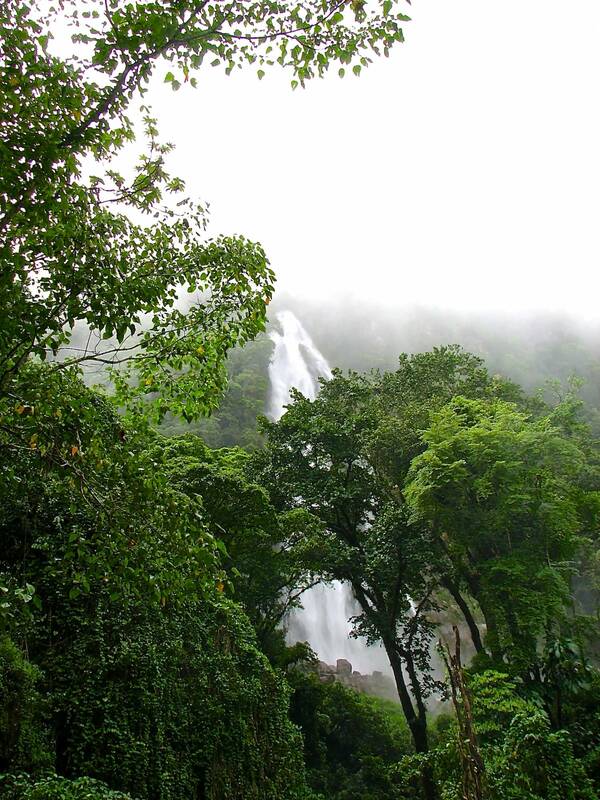 This waterfall is one of the tallest in Costa Rica and often the top cannot be seen as it is in the clouds. 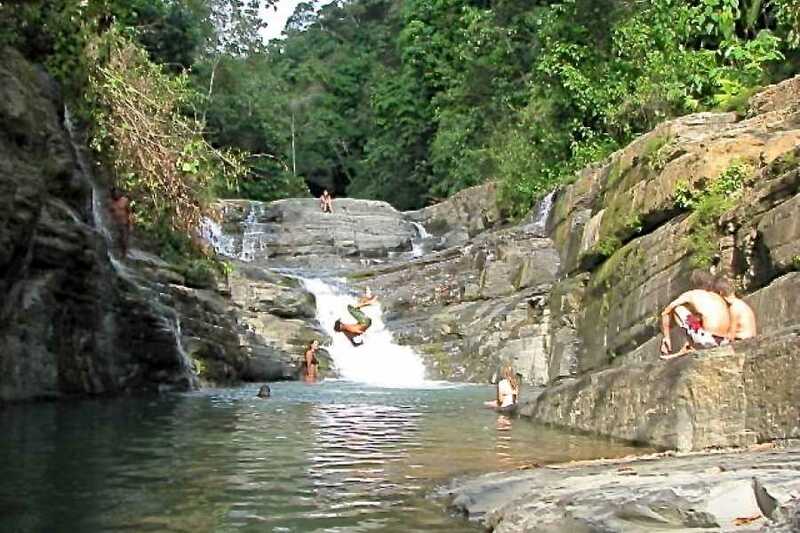 As we continue on our loop through the rainforest, we will stop for some fresh local fruit and a refreshing swim at another waterfall before we head back to base. 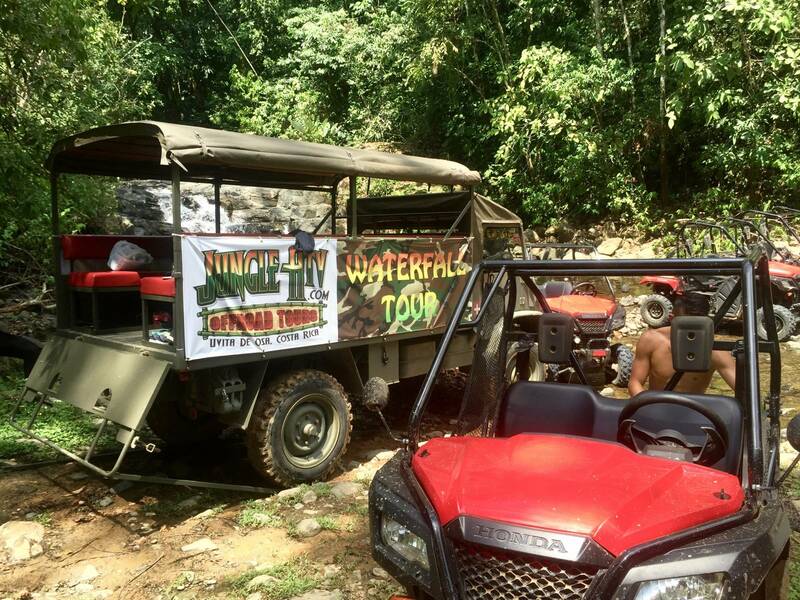 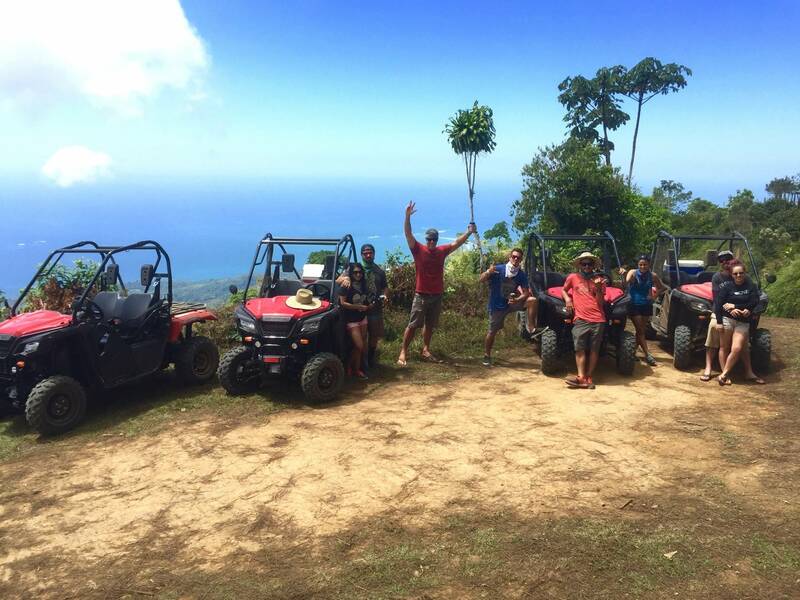 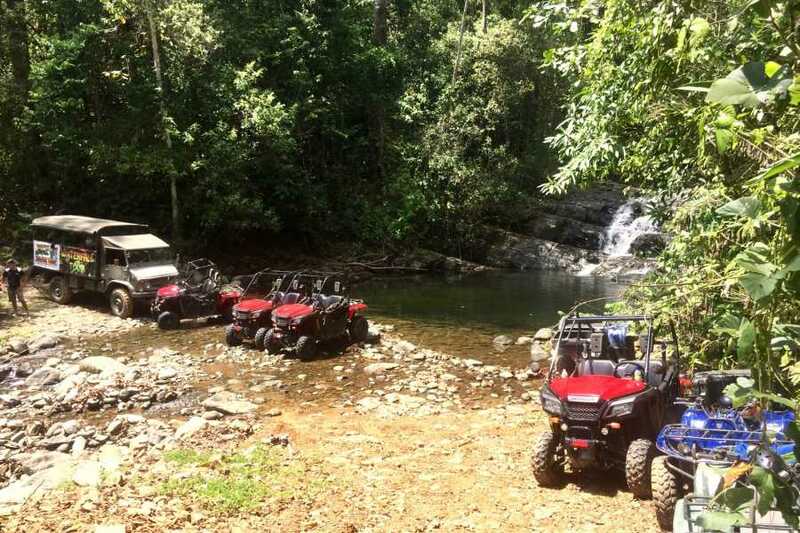 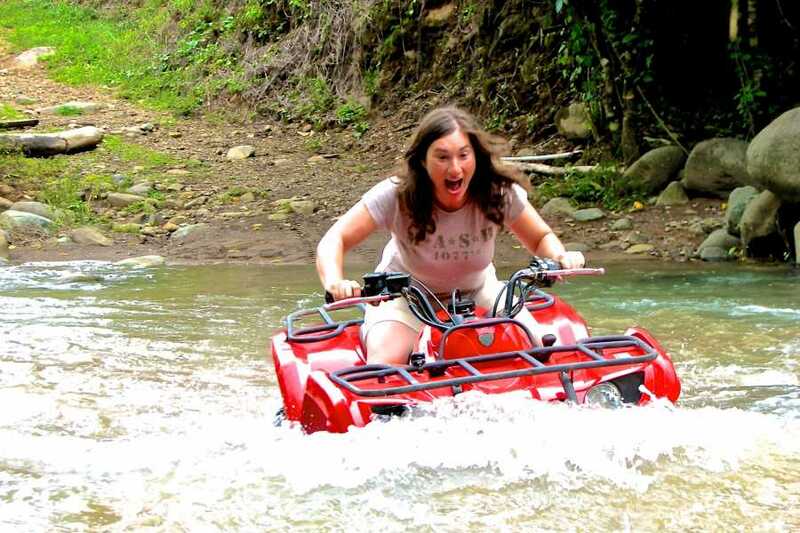 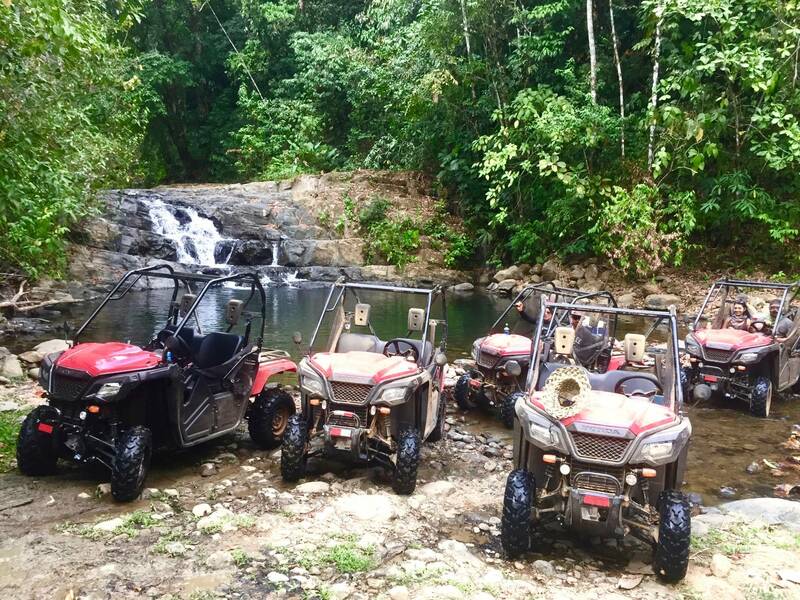 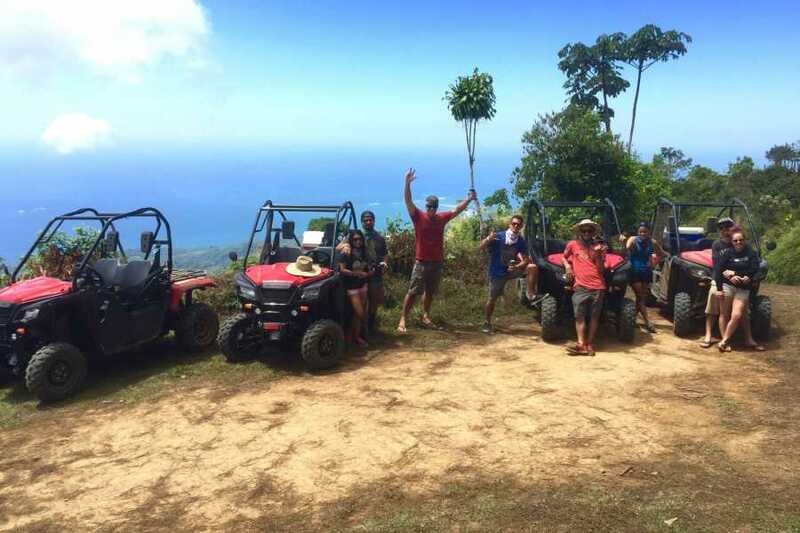 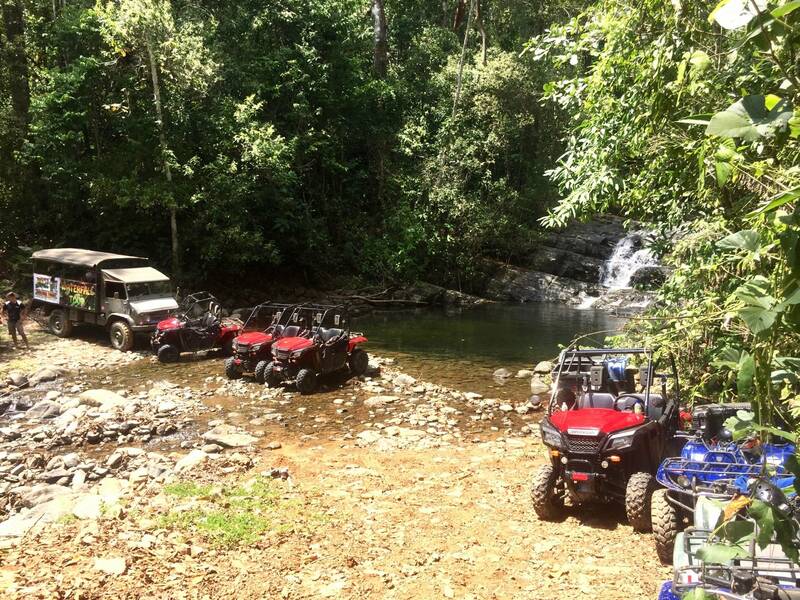 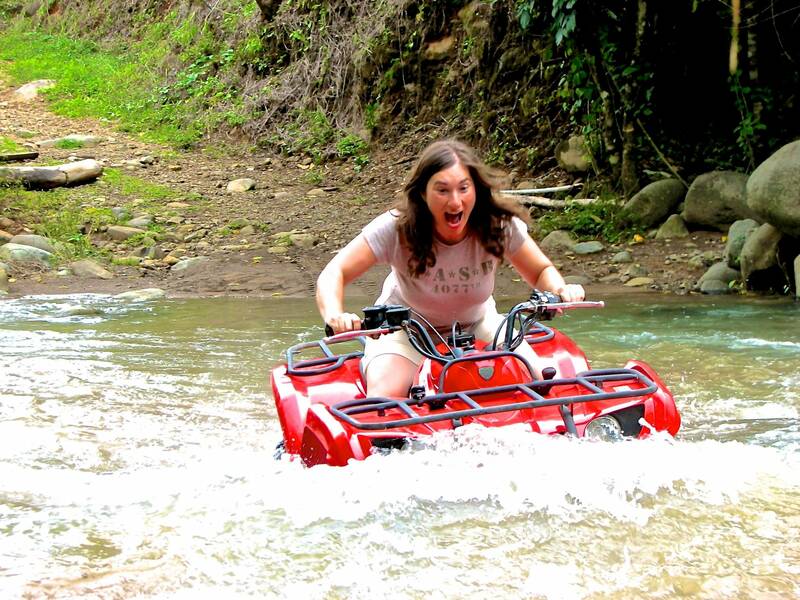 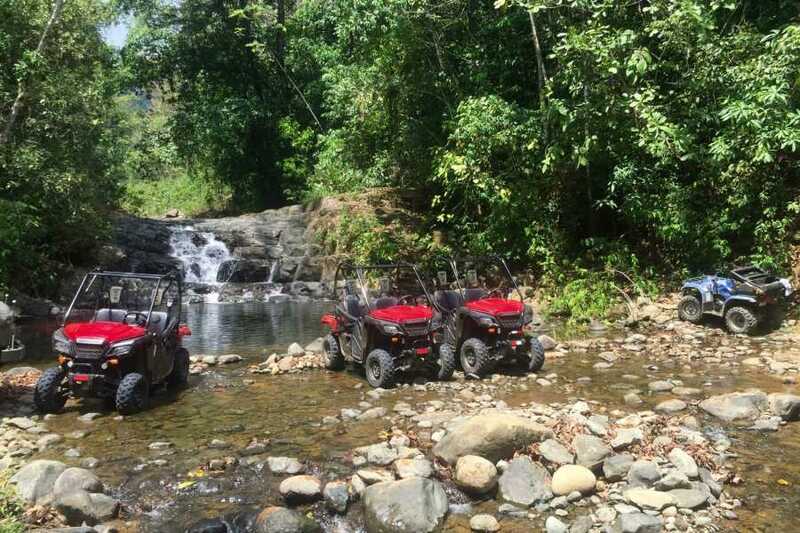 We assemble at 8:45 am at our location in Uvita for some quick ATV training, then at 9:00 am. 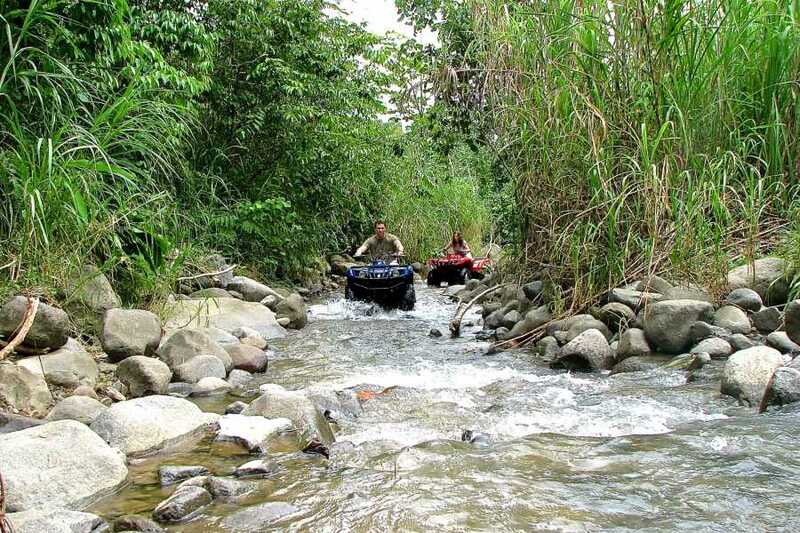 we are riding through the jungle and into the mountains. 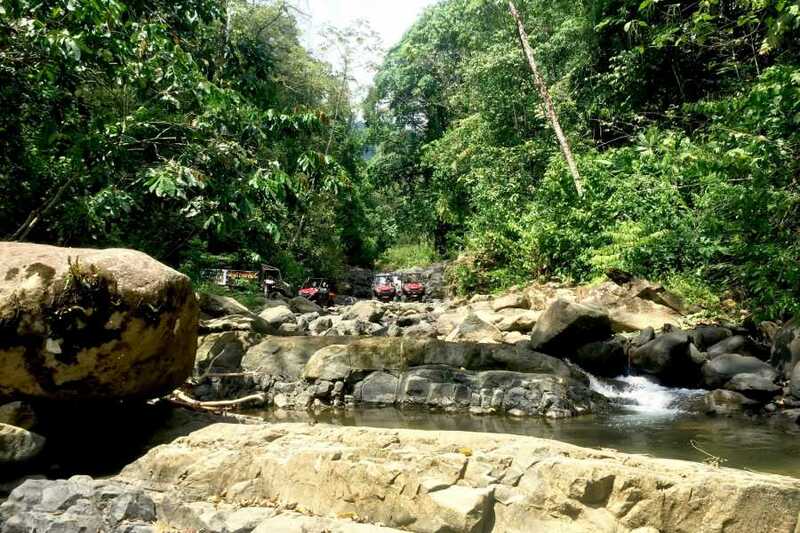 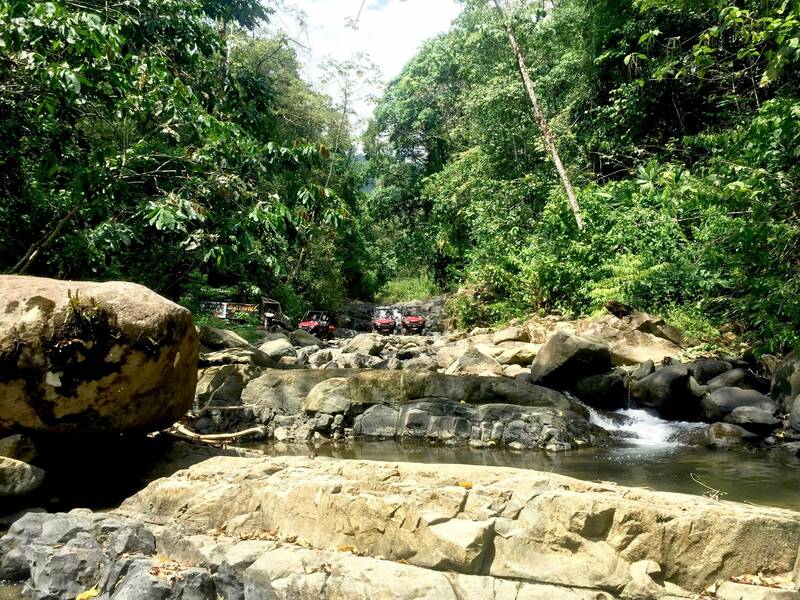 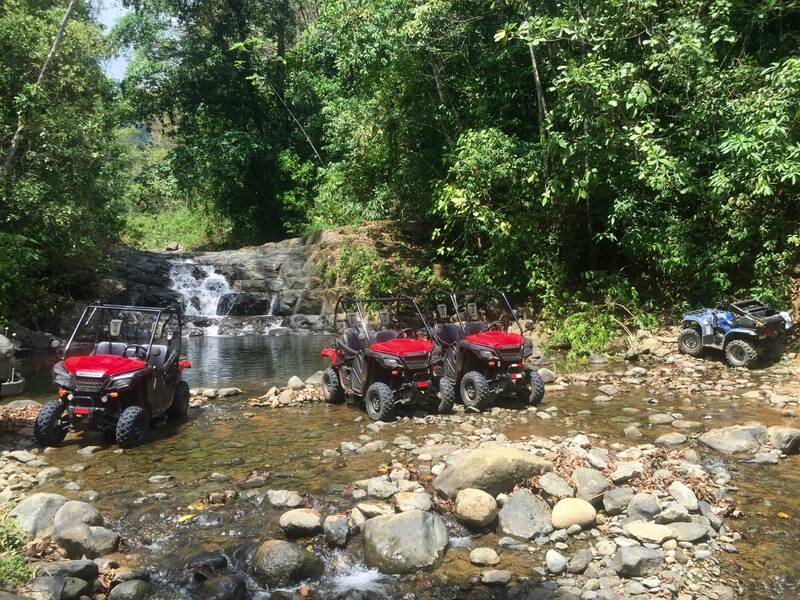 Pressing that 4x4 button on our auto trans ATV or paddle shift Side by Side will make the climb that much easier as we cross streams, ruts, rocks and mud on our way to visit small villages, coffee farms, and a huge 300' waterfall. 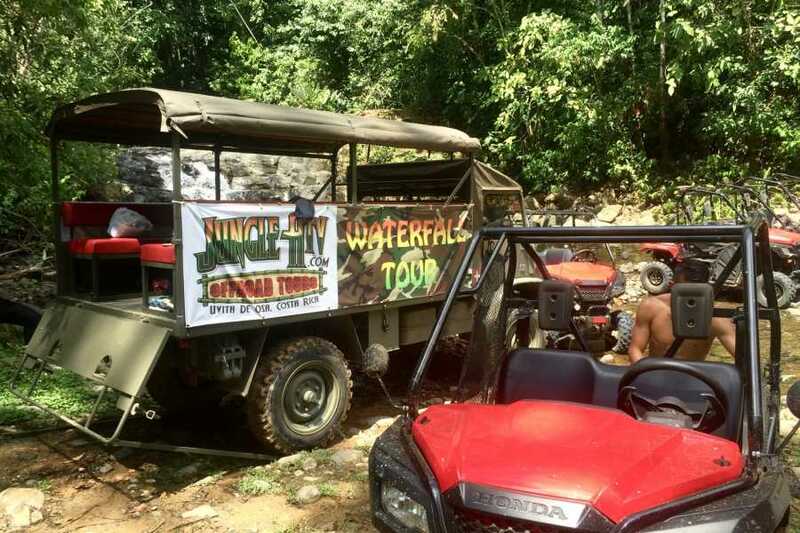 Your bi-lingual guide is sure to spot the local wildlife including monkeys, sloths, toucans, parrots, and yes, sometimes snakes! 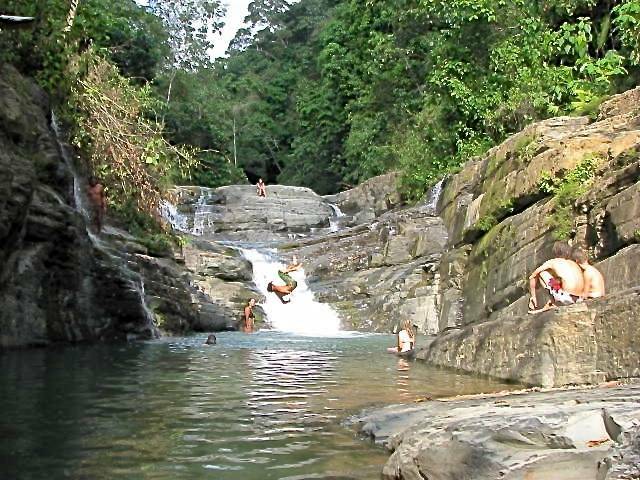 We’ll stop for a swim at one of the waterfalls on our way back, and should be returning to the shop at around 1:30 pm, just in time for lunch.